The XL Catlin Junior Caribbean Cycling Championships got underway in the East End with a Time Trial. 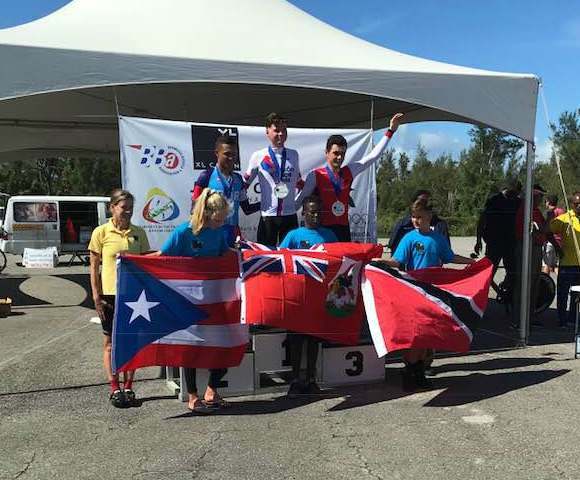 Bermuda Cyclist won all three categories, Kaden Hopkins won the Junior 17/18 race, with Nicholas Narraway claiming the Juvenile 15/16 title and Allysa Rowse won the Junior Women’s race. Ziani Burgesson just missing podium when he finished 4th in the Juvenile 15/16 Division, while Matthew Olivia Did Not Finish due to mechanical competing in the Junior 17/18 Division.